This internship is a part of the Bachelor of Business Administration (BBA) program that provides an on-the-job experience to students. I was placed at Trust Bank Limited, Dhanmondi Branch as an internee officer for three months. This internship program was my very first on-the-job exposure and provided me with learning experience and knowledge in several areas. During the first few weeks of my internship period, I was able to get accustomed to the working environment of Trust Bank Limited. As the internship continued, I not only learned about the activities and operations of correspondent Bank, but I also gathered some knowledge about the basic business activities of banking in first one-month of my internship period. 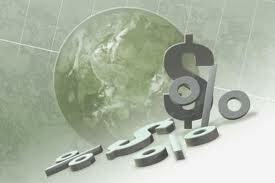 Generally, by the word “Bank” we can easily understand that the financial institution deals with money. But there are different types of banks such as; Central Banks, Commercial Banks, Savings Banks, Investment Banks, Industrial Banks, Co-operative Banks etc. But when we use the term “Bank” without any prefix, or qualification, it refers to the ‘Commercial banks’. Commercial banks are the primary contributors to the economy of a country. Therefore, we can say Commercial banks are a profit-making institution that holds the deposits of individuals & business in checking & savings accounts and then uses these funds to make loans. Both general public and the government are dependent on the services of banks as the financial intermediary. As, banks are profit-earning concern; they collect deposit at the lowest possible cost and provide loans and advances at higher cost. The differences between two are the profit for the bank. A company can increase efficiency through a number of steps. These include : exploiting economies of scale and learning effects, adopting flexible manufacturing technologies, reducing customer defection rates, getting R&D function to design products that are easy to manufacture, upgrading the skills of employees through training, introducing self-managing teams, linking pay to performance building a companywide commitment to efficiency through strong leadership, and designing structures that facilitate cooperation among different functions in pursuit of efficiency goals. Efficacy of customer service is related with progression of operation. We can identify the efficacy of customer service by studying the progress of “Trust Bank Ltd.” from starting to at present. The progress of “Trust Bank Ltd.” is very rapid with the concern of its profit making and growth of its operation within the country towards the country’s economy. The Trust Bank Limited pursues decentralized management policies and gives adequate work freedom to the employees. This results in less pressure for the workers and acts as a motivational tool for them, which gives them, increased encouragement and inspiration to move up the ladder of success. Overall, I have experienced a very friendly and supporting environment at the Trust Bank Limited, which gave me the pleasure and satisfaction to be a part of them for a while. While working in different departments of this branch I have found each employee too friendly to us to cooperate. They have discussed in details about their respective tasks. I have also participated with their works. The internship program is very helpful to bridge the gap between the theoretical knowledge and real life experience as part of Bachelor of Business Administration (BBA) program. This internship report has been designed to have a practical experience through the theoretical understanding. Internship program is essential for every student, especially for the students of Business Administration, which helps them to know the real life situation. For this reason, a student takes the internship program at the last stage of the degree, to launch a career with some practical experience. As a Complete fulfillment of Internship Program, introduce the students with the real life business situation. The objective of this report is to complete the partial fulfillment requirement of the BBA program by gathering practical knowledge regarding banking system and operation in the form of a research study. This practical orientation gives me a chance to co-ordinate my theoretical knowledge with the practical experience. Gathering practical knowledge regarding banking system, operation and implementation of the theoretical knowledge. To recommend suggestion for the development of the Trust Bank Ltd. This internship report covers all the trade related products handled by the “The Trust Bank Ltd.” such as Foreign Exchange, Cash Dept., Dispatch, Account Opening, Remittance, Accounts, Administration and Loans & Advances etc. This study is based on a theoretical knowledge, field survey and practical orientation. This is a survey work in the form of research study. In order to make the Report more meaningful and presentable, two sources of data and information have been used widely. These are both primary and secondary data. # Direct communication with the clients. # Annual report of the Trust Bank Ltd .
# Periodicals published by the Bangladesh Bank. The performance evaluations of the TBL have been conducted based on the trend analysis. Trend Analysis: In the report trend analysis has been used in order to indicate the changes in the level of progress and growth over the last three years starting from 2003. It would show whether the present growth trend of the TBBL is excellent, good, satisfactory or bad. The main constraint of the study is inadequate access to information, which has hampered the scope of analysis required for the study. As it is a new bank it could not start all its operation, it was unable to provide some formatted documents data for the study. Due to time limitations, many of the aspects could not be discussed in the present report. Another problem is that creates many confusions regarding verification of data. In some cases more than one person were interviewed to clarify each concept as many of the bankers failed to provide clear-cut idea about the job they perform. I have had no opportunity to compare the general banking system of the TBBL with that of other contemporary and common size banks. It was mainly because of the shortage of time and internship nature. Trust Bank Ltd. is a private, commercial, scheduled Bank, which obtained license from Bangladesh Bank on July 15, 1999. Presently Army Welfare Trust is the major shareholder. The authorized capital of the Bank is Taka two thousand million and paid-up capital of Taka five hundred million. Public shares are expected to be floated in the near future. The Bank was formally inaugurated and listed as a scheduled bank on November 1999. Composition of the Board of TBL consists of Ex-officio Directors of in-service senior Army personnel, with the Chief of Army Staff as its Chairman and the Adjutant General as its Vice-Chairman. Trust Bank Ltd. having a spread network of 23 branches across Bangladesh and plans to open few more branches to cover the important commercial areas in Dhaka and other areas in 2007. The Bank sponsored by the Army Welfare Trust (AWT), is first of its kind in the country with a wide range of modern corporate and consumer financial products. Trust Bank Ltd. has been operating in Bangladesh since 1999 and has achieved public confidence as a sound and stable Bank. In addition to ensuring quality, Customer services related to general banking the bank also deals in Foreign Exchange transactions. In the mean time, the bank has extended credit facilities to almost all the sector of the country’s economy. The bank has plans to invest extensively in the country’s industrial and agricultural sectors in the coming days. To build a sustainable and respectable financial institution. To be a leading Commercial Bank, with a social focus, assisting in the economic development of the country. The Profit of the bank used for the Socio-economic development of the members of the Bangladesh Army and thereby the nation as a whole. Achieving sound and profitable growth in assets and liabilities, with focus to maintain non-performing assets at acceptable levels. To build long-lasting, credible and mutually dependable relationships with customers. Efficiently managing interest and operating costs. To excel in rendering superior customer service. In inward register all the incoming documents are received and registered according to date. Then, documents are transferred to different departments according to their destiny. The documents, which are needed to mail to different branches of TBL in Bangladesh or outside Bangladesh, are registered in outward register and mailed by courier or by post, which one is suitable. Opening of Cash: Beginning balance is used to start daily transaction. Previously issued cheque will be paid if issued 6 months before. Advance issued cheque cannot be made payment even one day before. Clients give their cheques with their signatures. These signatures are justified with specimen signature cards. If these signatures are correct, then A/C numbers are posted into the computer and required balances are given to them after checking that they have sufficient balance in their accounts. This transfer is made through account to account, not in cash. Payment is made through clearing house. In this case the parties are account holders different banks. The clearing-house in Bangladesh bank makes the clearing tasks in working day where the representatives of every scheduled bank are present there to collect their own banks’ cheques. (C) Effects not cleared, may be presented. (E) Full Cover Not Received. (F) Payment stopped by drawer. (G) Payee’s endorsement irregular\ illegible\ required. (H) Payee’s endorsement irregular, required bank’s confirmation. (I) Drawers, signature differs/ required. (J) Alterations in date/ figures/ words require drawer’s full signature. (N) Clearing stamp required/ requires cancellation. (P) Cheque crossed “Account, Payee Only”. (Q) Collecting Bank’s discharge irregular/ required. debited and Bills for collection credited. The customer has to submit any unutilized portion of cheque and bank will destroy these. Issue and payment of Pay Order, Pay Slip, Demand Draft, SDR etc. Balancing at the end of the month. A bank has to maintain different types of accounts for different purposes. Trust Bank limited (TBL) offers the general deposit products in the form of various accounts. Any person or persons of more than 18 years having sound mind can open and operate this account singly or jointly. In case of a minor (a person below 18 years), a guardian can open and operate this account on his or her behalf. Clubs, Societies, Sole Proprietorship firms, Partnership firms, Limited Companies either public or private and other similar organization are eligible to open such account. More than one account cannot be opened in the same name. A minimum initial deposit of Tk. 500.00 is required to open such account. Money will be withdrawn through cheques. Withdrawal cannot be more than twice a week and generally the amount will not be more than 25% of the balance available, subject to maximum Tk. 20,000.00. In case of closure of any account, the bank deducts Tk. 100.00 as closing charge. A minimum deposit of Tk. 1000.00 is needed to open a current account. The bank charges an incidental charge of Tk 50.00 for every six (6) months for the maintenance of the account. In case of the closure, the bank charges Tk. 100.00 as closing charge of the account. Withdrawal of money is allowed only through the leaves of the cheque book issued by the bank. * Subject to 10% government tax on interest earnings. A receipt, given to the applicant after opening the FDR account, will show it after maturity to take his money back. The signature of the FDR account holder is maintained in the specimen card. After payment at maturity period the FDR account is closed. The FDR account holder must surrender his FDR receipt during the payment. It is to notify that in case FDR, the bank entries the full amount at maturity date in advance when a customer opens a FDR account. After the maturity FDR receipt and FDR form are attached together and on the front page of the FDR form bank authority writes “Close of FDR account” and gives entry in the ledger. Passports/ Nationality Certificate/ Employer’s Certificate of the Proprietor. Photograph of the Nominee(s) attested by the account holder. Relationship between the account holders. Purpose of opening of the Joint account. Transaction Profile of the concern. Personal Profile of the partners. Trade License of the concern. Resolution regarding opening and operation of the account. Passports/ Nationality Certificate of all Directors of the company. Transaction Profile of the company. Board resolution of the company regarding opening and operation of the account. Attested or Certified copy of the Constitution. List of all Executive Members (as per enclosed format). Passports/ Nationality Certificate of the account operators. Personal Profile of all members of the governing body and Managing Committee. Board resolution regarding opening and operation of the account. Registration Certificate from the Joint Stock Company/ Ministry of Social Welfare. Board resolution as per Memorandum regarding opening and operation of the account. Attested or Certified copy of the Constitution/Bylaws. Passports/ Nationality Certificate of all Members. “No Objection Certificate” from the Ministry of Social Welfare.